besides an ABY, are you using anything to high pass your signal into the guitar amp? I've seen a few options, but I'm wondering what has actually worked best for real users. Not doing it right now, but when I was I used an fDeck HPF-PRE into the guitar side, just to tighten up the low end and reduce the chance of mishap. Although, I find it's really that necessary, if you just dial in the guitar amp side to cut and not be a low end monster. Even if you do, depends on the cab anyway. Corey Y wrote: Not doing it right now, but when I was I used an fDeck HPF-PRE into the guitar side, just to tighten up the low end and reduce the chance of mishap. Excellent. That will certainly be the most cost effective since I already have an ABY. 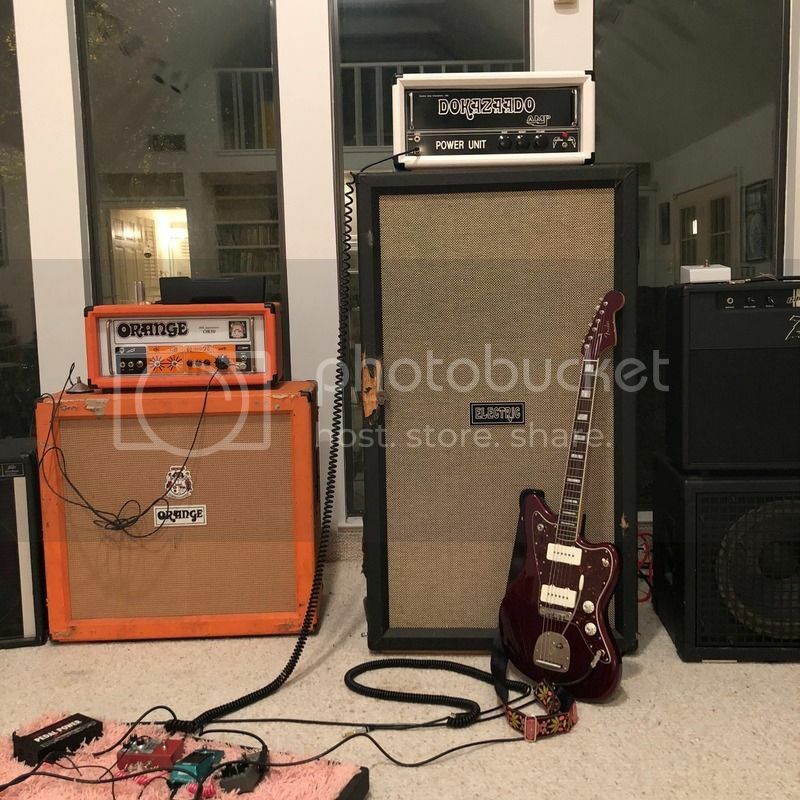 What amp/cab/speakers are you using? but, you know...with a bass. OR50 is a loaner, but I'll be getting another appropriate head in the next month or so. To be honest, I wouldn't even worry about doing anything too special with that rig. Maybe just EQ the amp a bit to taste. If you want the guitar amp to be running pretty dirt for a lot of cut, cut the low, boot the highs and mids. If it's just a matter of the amp design and the low end just pushes the front end too hard, a simple EQ pedal or something more subtle like the HPF-PRE is a good solution. In a pinch, just use a pedal running mostly clean to cut volume to the input or something. right. my main concern is killing the speakers in the 4x12", but I might test it a bit at moderate volumes and see how it responds. I've never actually seen anyone kill a speaker of any type, except for running amps that are too powerful or cranking any amp all the way up to the point of getting crazy output spikes. As long as the speakers can handle the amp, the frequencies won't really blow them up, unless you're using pushing a crazy hot square wave signal or something, but it's usually really hot transient spikes that kill speakers when there's not an obvious mismatch. rad. I'll still get the fDeck jawn eventually if just for more efficient use of power, but..good to know! I do find the fdeck useful, especially with more vintage style design tube amps.